Rajasthan's exile from Indian and international cricket finally ended on Monday. 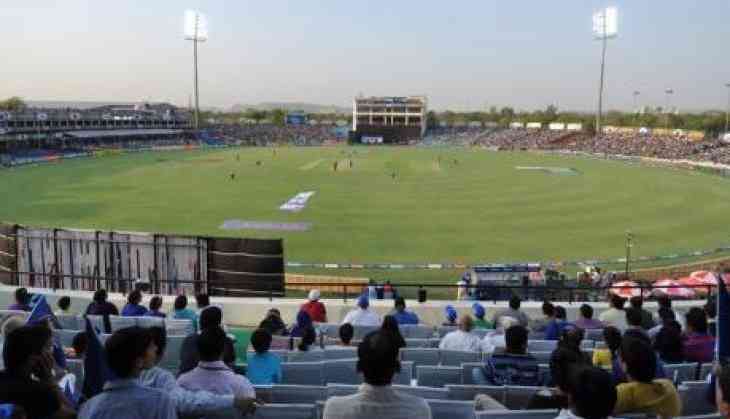 The Board of Control for Cricket in India (BCCI), in its Special General Meeting, revoked the long-standing suspension of the Rajasthan Cricket Association (RCA). "Yes, the ban on the RCA has been lifted, but with certain conditions," BCCI acting President C.K. Khanna confirmed the news while speaking to a news agency. The BCCI had kept the condition that former IPL chairman and controversial businessman Lalit Modi would stay away from its functioning. The RCA was suspended by the Indian Cricket Board in May 2014 when ex-Indian Premier League (IPL) Commissioner Modi was re-elected its president. Since its suspension in 2014, RCA's cricket affairs are being looked after directly by the BCCI. President of Rajasthan Cricket Association, Dr. CP Joshi reacted to the development. ” Cricket comes back to Rajasthan. My heartiest congratulations to Rajasthan cricket and gratitude to BCCI on revoking the ban on Rajasthan Cricket Association," he said in a tweet. The RCA had filed a suit against its suspension by the BCCI, to which the board asked the association to withdraw all pending cases and not to involve the cricket board in any case. The Supreme Court-appointed Committee of Administrators (CoA) already dissolved the ad-hoc committee that was constituted to run the affairs in Rajasthan cricket, paving the way for the ban to go. Even as the IPL and International matches were shifted out of Jaipur, the BCCI's stand was clear: Throw out Lalit Modi and get back the affiliation. However, Modi and his team of lawyers fought back, filed case after case against the BCCI and made to do with the meagre finance it had at it's disposal. Even though Lalit Modi's loyalists stood by him, those who had deserted C.P Joshi, started going back. This made a cut for the return of the former Union Minister CP Joshi in the Rajasthan cricket.